Xi'An TianRui Petroleum Machinery Equipment Co.,Ltd. 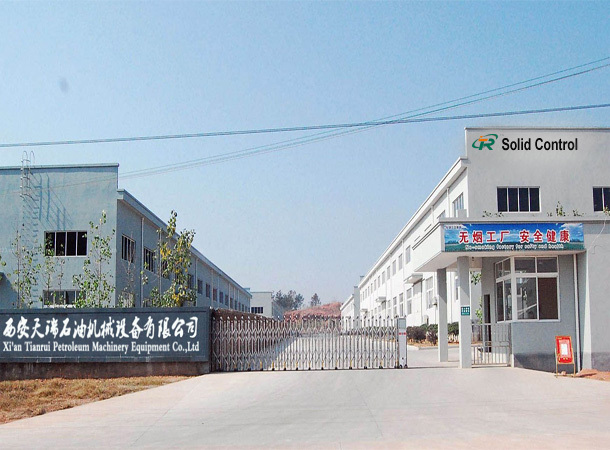 (For short: TR Solids Control) is a professional manufacturer of solids control equipment and mud recovery system, located in Xi'an City, China. Since 2010, TR Solids Control focused on the development and production of various types of solids control equipment & system. Our R&D personnel are composed of rich experienced crew who have long-time work on oil drilling mechanical design, so we supply professional drilling solids control equipment with the enterprise spirit of continuously improvement and constantly innovation. Our main products include: drilling mud shale shaker, decanter centrifuge, mud agitator, mud cleaner, desander, desilter, vacuum degasser, submersible slurry pump, centrifugal pump, screw pump, shear pump, jet mud mixer, mud hopper, liquids gas separator, flare ignition device, mud tank. Spare parts like shaker screens, hydrocyclones, impeller, mechanical selas and gear box etc. They are widely used in oil and gas drilling, coal bed methane system, trenchless HDD & tunneling, micro-tunneling, drilling waste management, bored pile construction, etc. 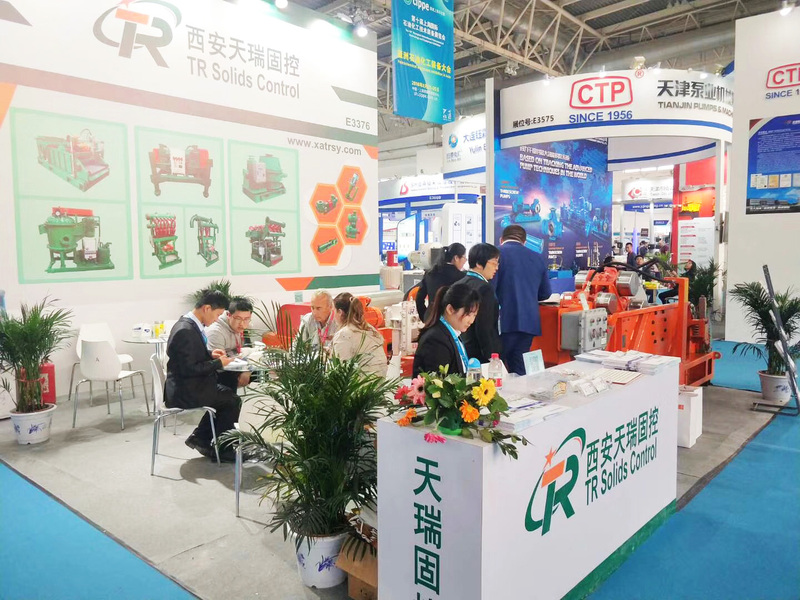 TR Solids Control brings in international advanced technology and imports high precision processing equipment for production, and builds talent training cooperation relations with lots of university in Xi’An city for replenishing new blood continuously to us. We also formed a high-tech modern integrated enterprise with design, manufacture, sales and service. TR Solids Control has our own improved management system, high level professionals and excellent service team. Our production management strictly implements API quality specification requirements, and we have strict regulations to materials procurement, producing and processing , equipment debugging and whole process of equipment ex-factory. We’re fully capable of supplying satisfied products and services timely as per client’s request. In terms of products quality management, TR Solids Control continuously update our own management level. We passed the international quality management system ISO9001-2015. TR Solids Control pursuits high-quality product and establishes excellent quality management system, this enables us to get the appraoval from clients. 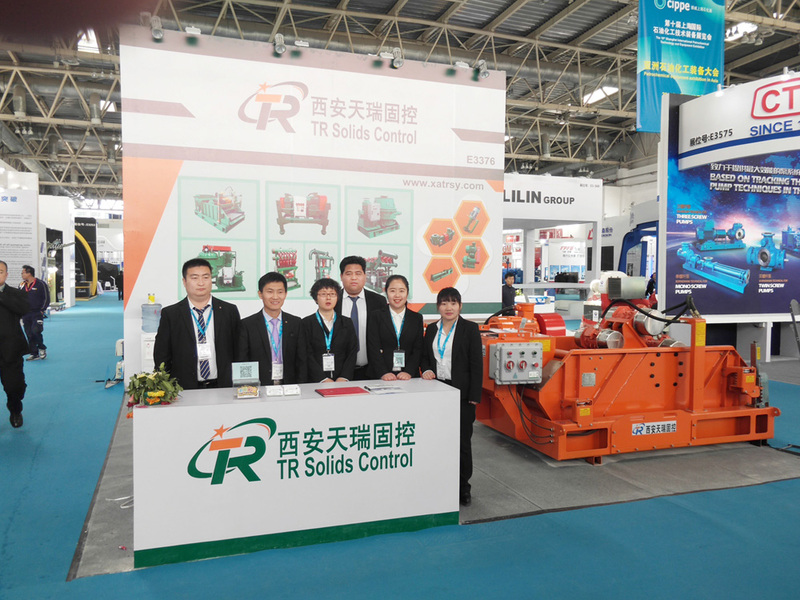 TR Solids Control adheres to the enterprise purpose--Customers’ Satisfaction is the Highest Pursuit of us. Our goal is to create the global famous brand enterprise, and supply excellent and stable drilling fluids recycling purification system and HDD(Horizontal Direction Drilling) mud recycling system to users. Our products are used in Chanceful Oilfield in north of Shaaban, Chang Oilfield, Sinkiang Oilfield and other national drilling company. At the same time we exported our products to almost 40 countries and regions like South America, US, Europe, Egypt, Dubai, Abu Dhabi, Oman, Pakistan, Russia, Australia, Korea, Vietnam, Myanmar, etc. Our goal is simple: to sell the best equipment at the best prices, and provides industry-leading customer service. We personally get to know each of our customers, and we know how to discover the most valuable part of our business is Perfect Solids Control Equipment, to help others achieve their goals. Company Name: Xi'an TianRui Petroleum Machinery Equipment Co., Ltd.